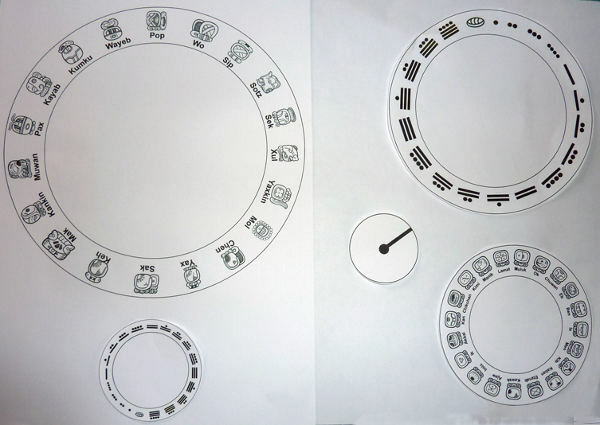 The pack includes the full Maya calendar (Calendar Round) with 5 separate rings to be cut out in white card. Includes a pin for fixing the rings, information about the calendar, instructions and a quiz. This product is suited for the Maya Key Stage 2 (KS2) history curriculum. 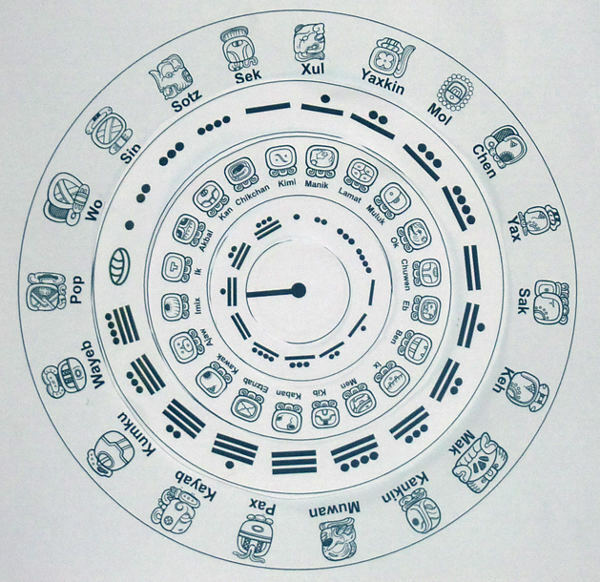 Understanding how the Maya calendar works can be difficult for both children and teachers, so this is a wonderful teaching aid in 1) explaining how the calendar works, 2) including questions and answers, and 3) being able to make your own to keep. The main Maya calendar, the calendar round of 52 years, actually consisted of 2 calendars that worked together. The first is the sacred calendar (Tzolkin) that is made up of 260 days (rings 3 and 4). This contained the numbers 1-13 and 20 day names (13 x 20 = 260). Every day was significant, similar to an astrology chart. 1 Imix, 2 Ik, 3 Akbal, 4 Kan to 13 Ben, then 1 Ix, 2 Men, 3 Kib and so on continuing in an endless cycle. Notice that the Maya did not have numbers like ours, they only had three digits; a dot standing for ‘one’, a bar standing for ‘five’ and a shell for ‘zero’. 0 Pop would be followed by 1 Pop, then 2 Pop, up to 19, then it would be 0 Wo, 1 Wo and so on. When these two calendars are working together, one day in this round such as 3 Kan 8 Pop did not repeat until 52 years passed, which was called the Calendar Round. So you basically have a number + day + number + month.